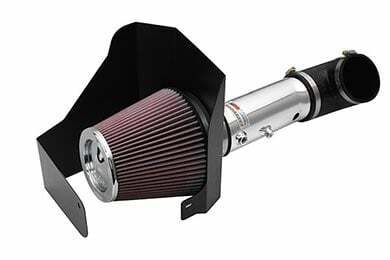 K&N 69-1210TS - K&N 69 Series Typhoon Intake Systems - FREE SHIPPING! Had my local mechanic install the K&N 69. Done in 30 minutes. Looks like original equipment. Acceleration at low rpms improvement of (my guess) 20%.) 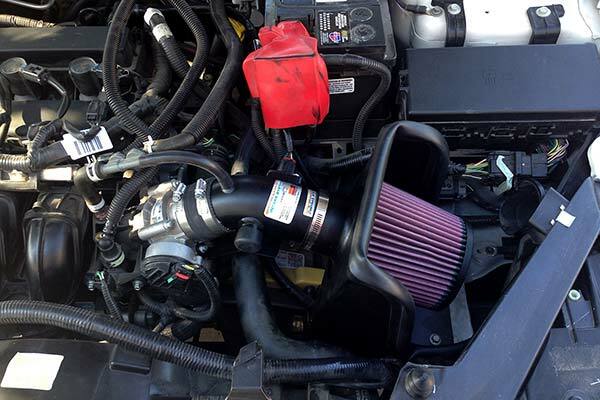 Just filled up, so will check mpg this tank vs previously with stock air intake plus K&N filter. 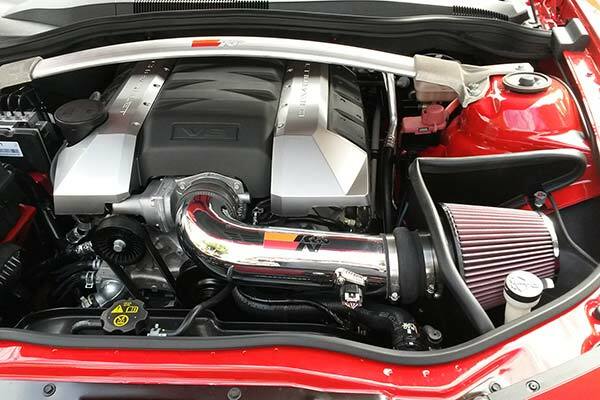 Nice addition for performance and look under the hood. I have bought a few of these for differnt vehicles and some vehicles are a bit easier to install than others. Make sure you know if you application needs the mass flow sensor or not becuase it is a different tube sent for each. Everything about this product is awesome. From the installation to the sound is great. You have to be careful about getting a speeding ticket because you tend to want to get in the gas pedal a lot. Good service. Good kit. Good price. Web site accurately detailed kit. I had a few questions called with on hold, tech was knowledgeable and price matched identical competitor kit. Arrived with no delays (4 days from CA. to MD, no shipping charged). Kit was complete, all parts in one box. Accurate instructions. 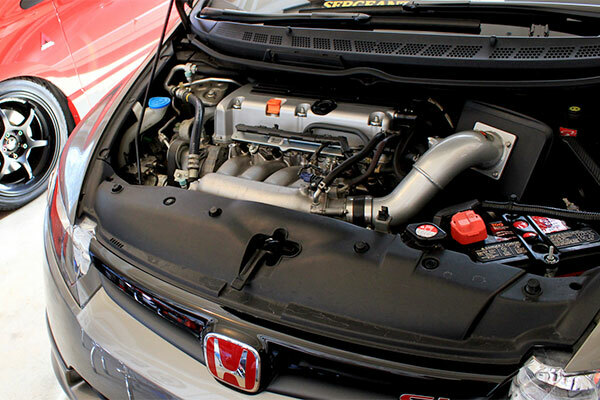 Gives enhanced motor purr, a touch more power, enhanced throttle response and great underhood looks. Check engine light does not illuminate. I love it and recommend it. 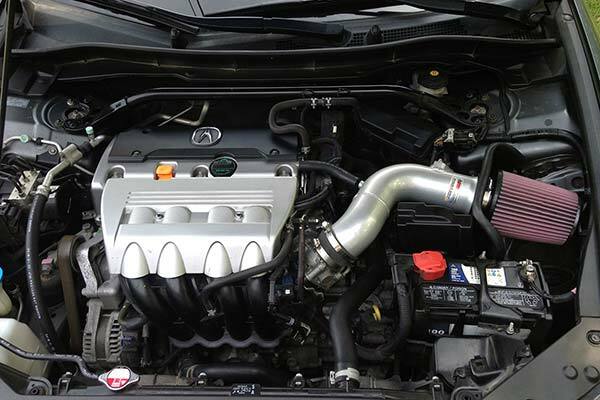 Honda Accord V6 K&N Intake. Completely made the engine sound so much better and you can feel the extra power. 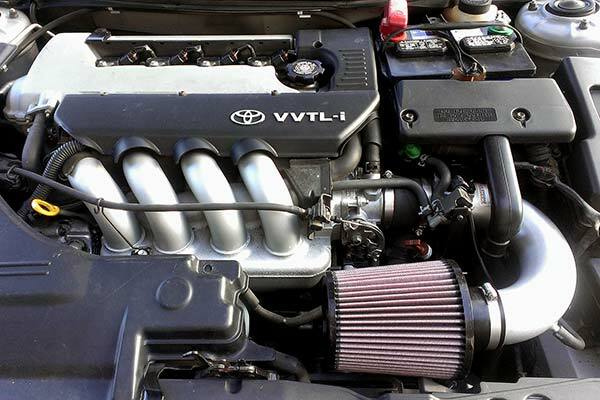 Really a great intake. Makes my car sound a lot better and I feel an increase in performance. Been wanting this for a while. Im glad I purchased it, my car is more responsive, more power, better gas mileage and it sounds great.. The sound it makes when you stomp on the gas is worth every penny. I knew K&N was probably the best (had one before) and I'm very pleased with this installation on my 12 Accord V6 so far. 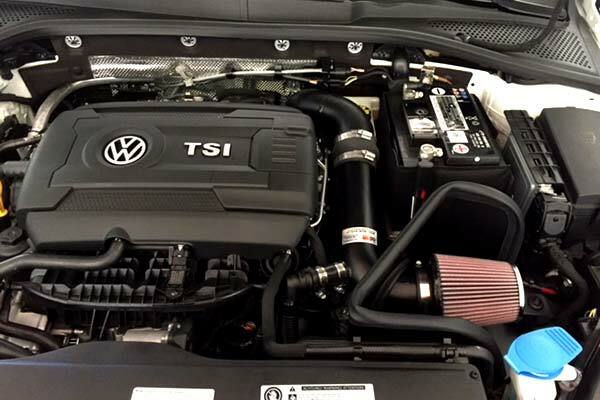 Since this is not a turbo engine the power boost is modest although I can feel more torque even off the bottom. It definitely makes a menacing growl which turns into a definite snarl as the revs go up. Again, on a turbo engine you get mostly whooshes and puffs as the waste gates open and close. So, be prepared for some noise with this installation. This is by far one of the best purchases I have mad for my car. Great price and super fast shipping as well. 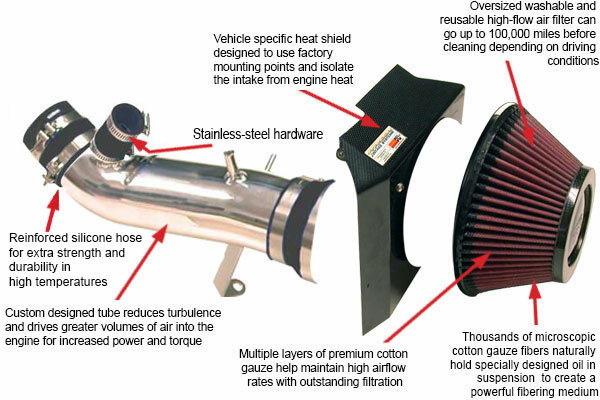 The cold air intake was received quickly. Easy install. Happy with the increase in performance and unexpected change in sound. Would recommend highly. My Chrysler 300 SRT8 is even more fun to drive than before. I have these on every car I own. Nothing beats the increase in horse power, pick up and gas mileage increase. Feels like a new car. 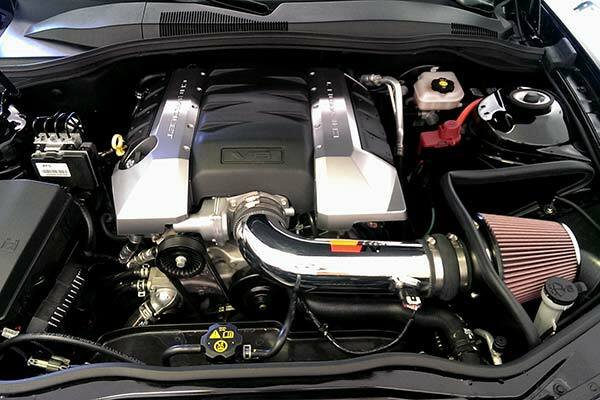 Great as usual ....This is my third K&N as I always install headers,exhaust,and the K&N on my vehicles so they can breath and love the sound as well, the K&N always tops it off....Nothing better, GET ONE!! I also by the way painted mine 6 coats of YELLOW high heat ceramic spray paint. 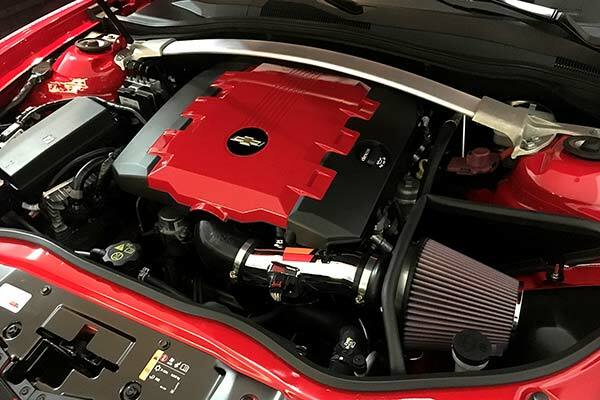 Looks great under the hood. 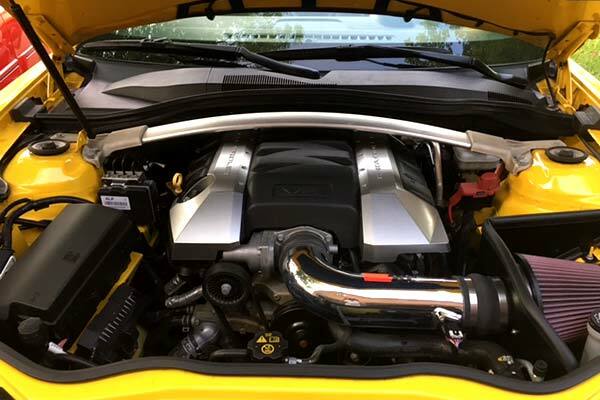 Together with the Magnaflow catback exuast i installed you can really hear and feel the added power, makes the car feel so much more sportier. I would definatly recomend this product to anyone looking for some performance. Noticed added power and love the sound I get from my car. Happy I installed the intake. Honda crosstour v6 it was a very good choice performance easy 2notice, go 4it. 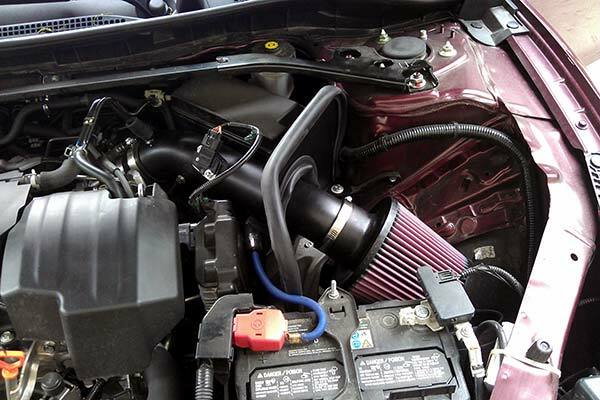 I had my local mechanic install this intake. It took him about 45 min to install. I first noticed a sucking sound when revving the engine. There is a noticeable throaty sound when pushing the rpm's above 3K. 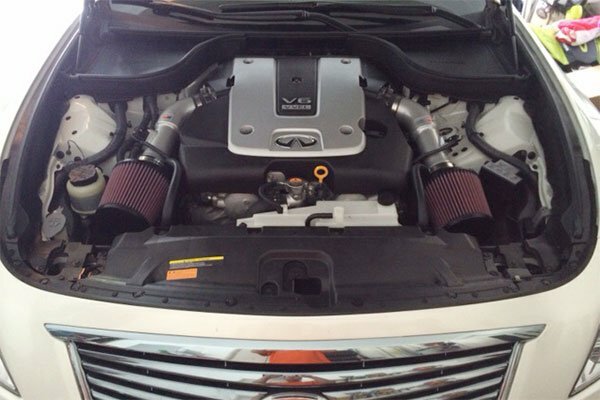 My vehicle has much improved acceleration after installing this intake. Cannot comment on mpg yet. Recommended. I'm impressed. Bought it cheaper here than obviously going to K&N. So far I am satisfied with Auto Anything. Installation time: 1 1/2 hours Sound: Great new rumble when you give it some gas. This is a great product. Sounds great! Adds power! Gives better gas mileage! What's not to love. I consider myself a novice and I installed it on my V6 08' Accord and had everything buttoned up in about 30 minutes. The instructions were simple and the parts matched up perfectly. Very cool DIY upgrade. My car now breathes and I can feel/see the extra horsepowers. When I go up into rpm the sound and the boost are noticeable in the right proportion. Reference # 758-176-919 © 2000-2019 AutoAnything, Inc.